Rod Stryker is the founder of ParaYoga® and the author of The Four Desires: Creating a Life of Purpose, Happiness, Prosperity, and Freedom. He is widely recognized as one of the country’s leading authorities on the ancient traditions of yoga, tantra, and meditation. Rod’s teaching weaves together his depth of understanding, experience, and his ability to make the ancient teachings and practices accessible to students of all levels. He has trained teachers for over 35 years and currently leads retreats, workshops, and trainings worldwide. Rod has dedicated his life to improving the lives of others through his lectures, writing, creativity, leadership, service, and commitment to family life. He is renowned for his depth of knowledge, practical wisdom, and unique ability to transmit the deepest teachings to modern audiences. He has been a mentor to hundreds of teachers and thousands of students. Raised in Los Angeles, Calif., Rod attended Beverly Hills High School and Denver University, in addition to studying abroad. He began his study of yoga at the age of nineteen. Called to teach early in his studies, he taught his first yoga class in 1980 and his first teacher training in 1989. 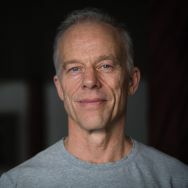 After nearly two decades of studentship, Rod became the only American disciple of Kavi Yogiraj Mani Finger and Yogiraj Alan Finger to be given the title Yogiraj—master of Yoga. Since 1999, Rod has been a student of Pandit Rajmani Tigunait, Ph.D., and a lineage holder in the tradition of Sri Vidya. He currently lives in Colorado with his wife, Gina, and their four children, Jaden, Theo, Asha, and Atreya.